It’s Coeliac UK’s Awareness Week – this year, the charity has pushed for a #glutenfreevolution, focusing on eating out and eating on the go – and it’s also Real Bread Week – Sustain’s initiative to champion healthy, naturally made bread, made the old-fashioned way. Both valuable initiatives. Sustain posted a tie-in blogpost, which you can read here, where they argue that anyone avoiding bread without a confirmed diagnosis of a wheat or gluten-related hypersensitivity is doing so unnecessarily. Why deny yourself what they call real bread? Well, you may feel the need to – possibly only temporarily – because you may not be able to get that diagnosis. Non-coeliac gluten sensitivity is difficult to pinpoint, is not yet well defined and some doctors remain sceptical about it anyway – hardly ideal circumstances for clear-cut ‘necessity’. We know, too, that wheaten breads are high in FODMAPs – and this may lead some with IBS to restrict them, with or without guidance from a dietitian. While I would not recommend routinely tinkering with one’s diet without an RD on the scene, I do understand people get desperate. Sustain’s definition of ‘real’ is strict – it means no additives and no processing aids. Therefore, no baking powder, no xanthan gum. This means there are few gluten free breads which qualify as “real bread” (or even as ‘bread’, by the looks of it, as Sustain seem to use terms such as ‘industrial loaves’ to describe supermarket / sliced breads). To my knowledge only those made by Artisan Bread Organic would qualify as ‘real’. You may not have tried their breads, but I have, years ago, and I remember them as dense, primarily. I didn’t dislike them, but I suspect few children would eat them. This morning ESPGHAN released results of a study comparing nutritional content of GF foods versus conventional foods (see the Guardian, the Daily Mail, and the Telegraph). 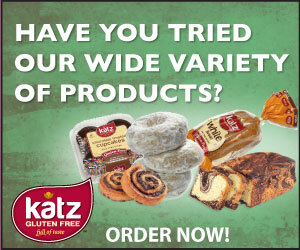 In a press release titled “Consumers misled by gluten-free foods“, it was revealed that non-GF products can be up to three times more protein-rich than GF substitutes, and that GF breads “had significantly higher content of lipids and saturated fatty acids”. GF breads are fattier, then, and CUK’s chief executive Sarah Sleet called this “concerning”, but pointed out that manufacturers have been reformulating in recent years to lower fat levels (often sacrificing palatability in the process, in my view …), adding “We continue to support this development as access to quality bread products is considered extremely important to people with coeliac disease”. Quality bread. We all want it. But I think too that we need to move towards a mindset that while GF and other free from foods can be great, and some greater than others, none should be over-relied upon. No diet, no restricted diet, is automatically healthy or unhealthy, but the more restricted one is, the more thought and planning may need to go into it. Diets based on manufactured or so-called ‘processed’ foods are not intrinsically unhealthy either, but ensuring a diet which isn’t too high in fat, or salt, or sugar is surely easier if we keep such foods to fairly modest levels, and base what we eat instead on whole foods and home-cooked meals. To some extent, this is what CUK is doing supporting and calling for better options when eating-out – good, healthy GF meals cooked from scratch. Larger brands “striving for more nutritious products”, as CUK put it, should be encouraged, yes, but championing smaller, dedicated GF bakeries, as well as home cooking, and trying to improve the collective food and nutritional literacy of its members, is surely important too? Would teaming up with the Real Bread Campaign be a good move, in this regard? The RBC say they attempted to court the charity five years ago, with a view to compiling a ‘real GF bread’ recipe book, but were declined. I know CUK are overwhelmed with such requests and are constantly overstretched, but I hope they review this, once they’ve caught their breath post Coeliac UK Awareness Week and taken a well earned rest for all their extraordinary work in securing so much publicity. More widely available quality bread – ‘real’ bread if you must – for ‘on-the-go’ sandwiches would be terrific for coeliacs.